DareDevil19 takes a look at the new S.H Figuarts Avengers: Infinity War Bucky figure from Tamashii Nations. You can pre-order this figure now at BigBadToyStore.com. Face sculpt likeness (to SS looks in the IW movie) came out very good on this fig. & the sculpt otherwise is excellent plus the very cool machine gun accessory. 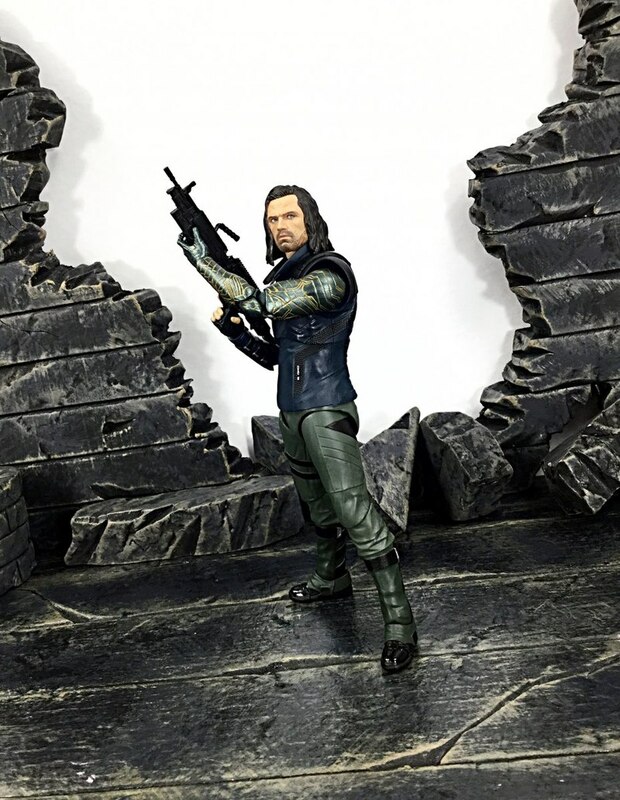 Could not be any happier with this version of IW Bucky & EASILY the best 1:12 scale Bucky that's ever been produced. Face sculpt is pretty comparable to Hot Toys for a fraction of the price. 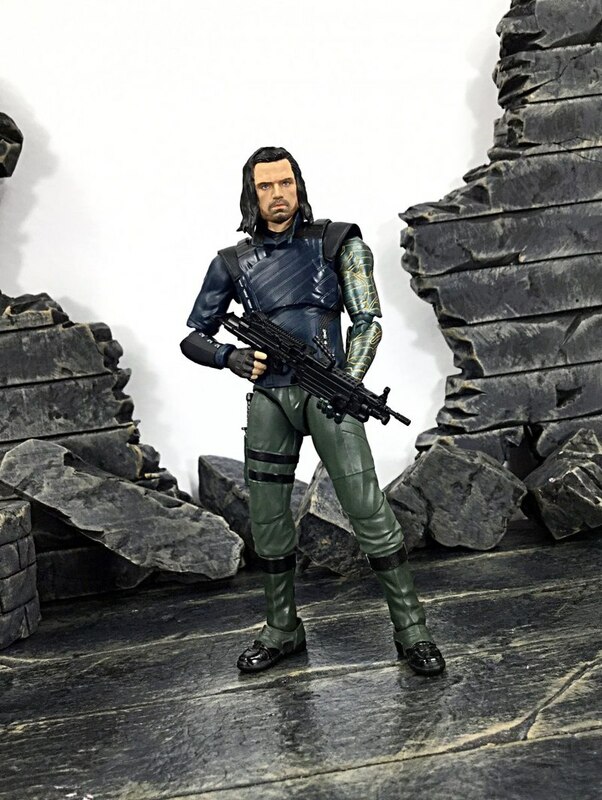 I'm not a fan of the ML 2-pack Bucky & Falcon as it's just a repaint of an older figure with no updates for face & hair looks in IW, some strange gun from a previously issued non-Bucky fig. that was not in the IW movie & Falcon has no uzi machine guns (a/k/a pretty much cheap on Hasbro's part IMO). 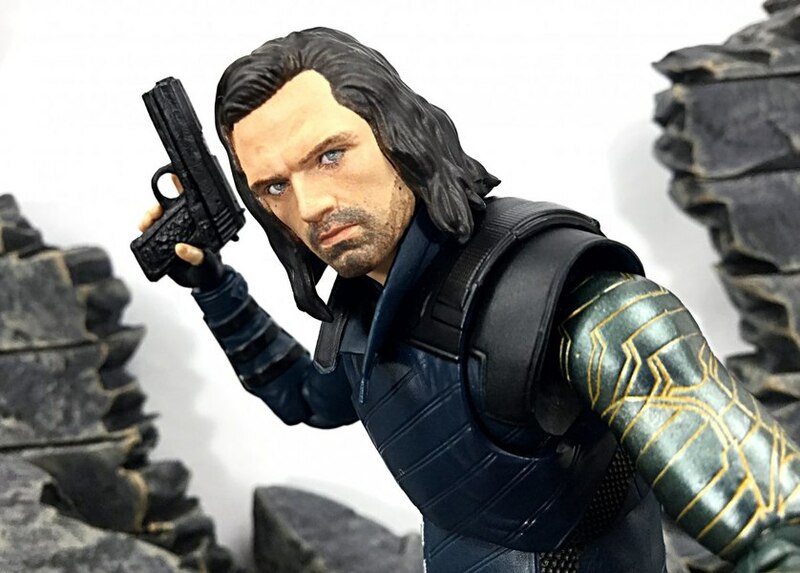 I would not pay any attention to the several other negative posts here re: the face likeness by apparent ML fans regarding this fig. as most of the comments don't make any sense. 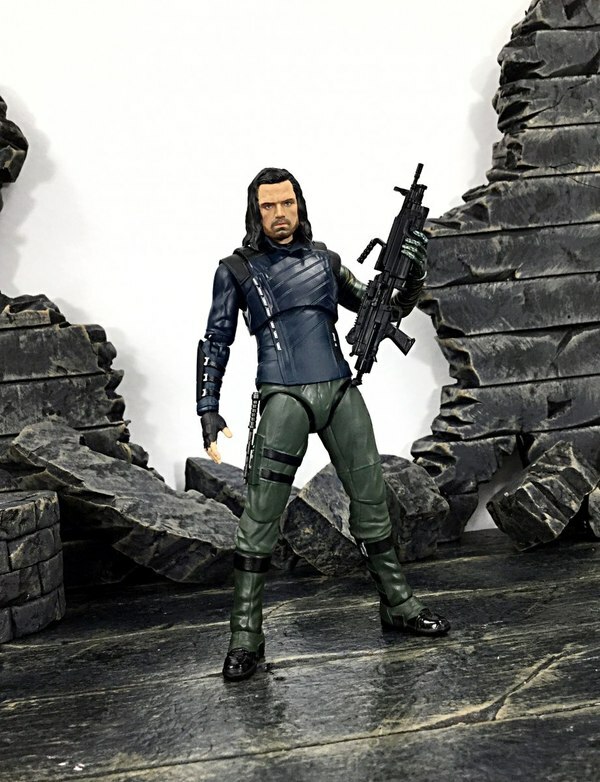 If you are a fan of how Bucky looked in IW, I highly recommend this fig. as its the highest quality 1:12 scale version (by far) of the character in his most up-to-date look that is available IMO. That face sculpt looks like Peter Dinklage. I think I'm going to stick with the Legends version. Yeah I am not digging that face. Im partial to marvel legends just because thats mainlywhat I collect, but I can admit when a lot of shf look much better than their legends comparison. 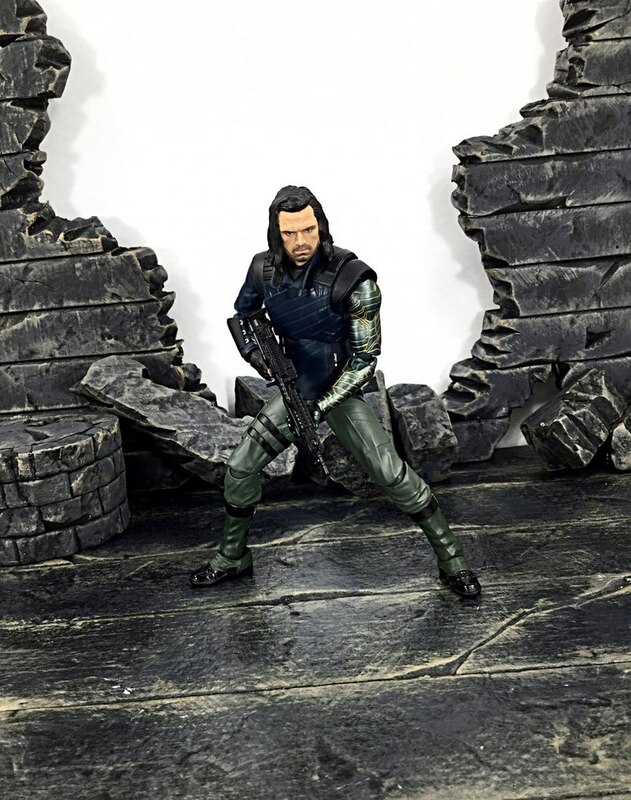 But I cant say this one looks better than the Legends two pack Bucky.